On the spur of the moment, we decided to hop into the car, a 2012 Honda Civic, and drive the three plus hours to the heralded ‘Finger Lakes’, eleven lakes, shaped like fingers, hence the name. Located in central New York state, somewhere in-between Buffalo and Albany, the Finger Lakes occupy four Interstate 90 exits. Some lakes are as long as 34 miles, others have a depth of up to 415 feet. The glacier, ice age period in history created what now is a global wine destination. This was our first visit which is odd since we live close to the region. My wine history is traced to some eight years I lived in Europe, specifically in southern Germany, Nuremberg. No, I wasn’t in the military. I was a high school journalism, photography and movie-making teacher for the high school kids whose parents worked on the base or nearby. Those years were when my wine curiosity peaked.. It was a time when you could purchase ‘classic’ wines for affordable prices. But, when you live in Germany, only German wines are offered for sale in the wine shops and supermarkets. Looking back, that was a perfect solution for a novice wine drinker. Consume what the locals drink and through osmosis, you become the wiser about the styles of wines your adopted country produces. As time went by, we attended harvest parties in the Mosel, drank classic wines in the Ratskellers of quaint villages, sampled wines with high enough residual sugar to turn you into a diabetic. With that history and fast-forwarding 35 years later, my wine knowledge is finally in full-stride, thanks to workshops, intensive wine seminars, and travel to wine destinations worldwide. Unfortunately, Germany has not been one of those destinations. But, after three full days in the Finger Lakes, why go to Germany? The Finger Lakes has it all. Not to toot my own horn-but, quite the opposite-I feel like the missed opportunities during the years by not visiting the Finger Lakes years ago. It is one of the ten biggest mistakes in my life. WE have lived in the Berkshires, on and off since 1982. It's only three plus hours to the Finger Lakes. My bad. 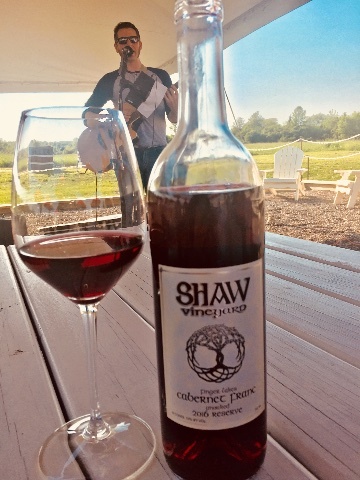 Being a free spirit and working only for myself-Fabulous Phil’s Gourmet Ice Cream-The Candy People-Board Stiff Snowboard and Skateboard Shop-just to mention a few of my entrepreneurial experiences made me blind to the Gateway to Wine in America-The Finger Lakes. Now I have seen the light. With an abundance of vineyards, beautiful scenery, and skilled winemakers, what's not to like for an enjoyable and insightful summer vacation. In a three day, two night visit, we visited ten vineyards. We tasted barrel samples, chated with winemakers, explored wine cellars and learned what makes this area special. Add great vineyard restaurants to the mix. 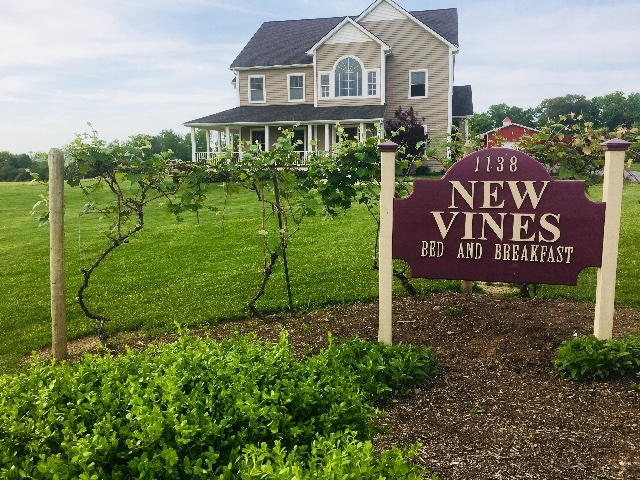 Even ourbed and breakfast came with a resident winemaker, an acre plot, and host who featured ‘social hour’ all day long. The area is known for ‘cool climate’ wines, focusing on those varietals that survive in cold, long winters. Riesling is one of the varietals that is the superstar of the region, thanks to both sweet and dry personalities. Focusing on stone fruits interpretations has made the regions winemakers ambitious and willing to experiment with other varietals. Some of the wineries are just plain fun. They provide music, great food and a hearty clientele. Other wineries focus on the art of winemaking. A few do both. 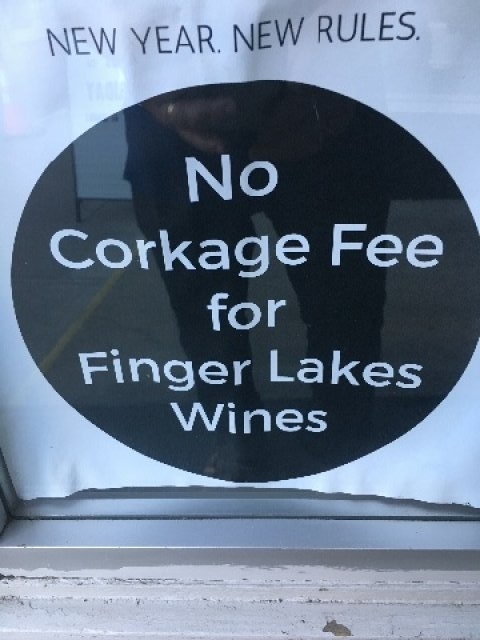 I am eager to reccomend the following vineyards to get an enjoyable perspective of the Finger Lakes. Yes, some vineyards are 45 minutes from the others but well worth the drive. 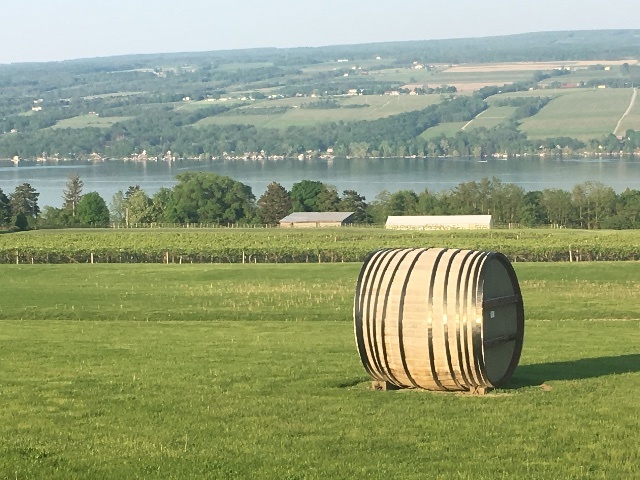 Along the way visit numerous restaurants and BBQ's that offer the ‘BYOB Finger Lakes’ wine logo, offering no corking fee. There are numerous complimentary ‘Wine Trail’ maps, offering a guide and a map to the vineyards. Tell them we sent you. Enjoy.